Over six days the company sold more than 13,350 assets for a record of over $297 million — up seven percent from last year's $278-plus million total. 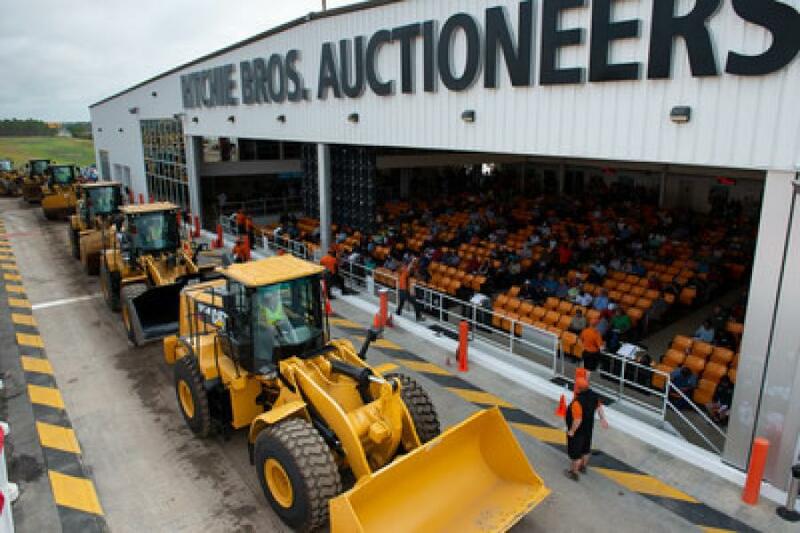 A sea of equipment stretched over the 220-acre Ritchie Bros. auction site in Orlando, Fla., last week as the company hosted its largest auction ever. Over six days the company sold more than 13,350 assets for a record of over $297 million — up seven percent from last year's $278-plus million total. The selection of equipment attracted more than 15,900 people from 88 countries — setting a new site record — including more than 11,300 bidders participating online in real time from around the world. At the end of the six-day event, approximately 84 percent of the assets were purchased by buyers from outside Florida. U.S. buyers purchased 85 percent of the equipment, while international buyers from countries such as Australia, China, Colombia, Germany, Nigeria and the United Arab Emirates purchased 15 percent. Online buyers purchased approximately 49 percent of the equipment. "We had a great week in Orlando, helping more than 1,150 companies sell their surplus equipment to buyers from nearly every corner of the world," said Ravi Saligram, CEO, Ritchie Bros. "Orlando is the Super Bowl of auctions and our team was prepared and performed tremendously, helping us set multiple company records, including our largest ever gross transactional value (GTV) and the most equipment we've sold in one auction in 60-plus years of business. On Day Five alone we sold approximately 2,300 items for more than $82 million — the largest single auction day in our history!" Ravi continued, "We achieved GTV of $297 million for the 13,350 items sold in Orlando, representing growth of seven percent in both GTV and lots sold versus prior year, a positive indicator of loosening supply. Our results reflected strong pricing for premium construction assets with low hours. Conversely, we witnessed pricing pressure on assets with higher hours, which indicates supply may have begun to harmonize with demand. Transportation assets, including over-the-road trucks and vocational units, continue to achieve strong prices. Importantly, I want to thank all our consignors and buyers for their confidence in us — and our employees who worked very hard to make the auction a tremendous success and add value for our customers." 465+ truck tractors; and so much more. Every single item was sold without minimum bids or reserve prices. Ritchie Bros. currently has more than 55,000 equipment items, trucks, and other assets listed for sale through its auctions and marketplaces. For a complete list of upcoming auctions and equipment available, visit www.rbauction.com and www.ironplanet.com.